IN THE MIX WITH HK™: DOES THE CROSSOVER KING HAVE ANOTHER HIT! Calvin Harris has been a busy guy. He’s all over twitter with fresh pics from Armani’s Fall/Winter campaign, spinning at America’s biggest nightclub Hakkasan, dating Taylor Swift (that has to keep you jumpin’) and now he just dropped a new track: How Deep Is Your Love. This time the Scottish, Grammy-winning producer/DJ collaborated with the London electronic trio Disciples. The track is heavy on piano and bass with a trademark pop gloss Harris sheen. Could this be the Summer 2015 jam? You decide, in the meantime…. It’s this weekend’s Pick To Hit™ on In The Mix with HK™. 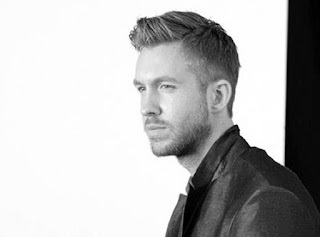 Calvin’s new one and all your fave summer jams will be getting the HK touch this weekend! I’ll be droppin’ the needle on Fall Out Boy, Little Mix, OMI, Sia, Jason Derulo, Selena Gomez, Adam Lambert and so much more! Don’t miss a single beat!